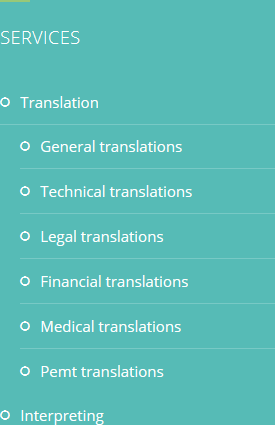 English To French To English Translation: What Files Formats Can Be Used For Translation? English to French to English translation can be a tricky thing to get right. A lot can get lost in translation (literally) and the entire meaning of a document can change depending on who is translating it. This is why it is important to research your chosen translation service before committing. The first step in successful English to French translation is for the translator to actually receive the document that needs to be translated. This may sound like a simple task, but there are many areas where even this can go wrong. Once the document is out of the writer’s hands and heading towards the language translator, any number of problems can occur. Most translators will prefer to work with the document in its original file format if possible. It gives them a better sense of how the essay, medical paper, novel or other text was written. Another reason for this is that if the original document file is sent, it means there is little chance of it having been corrupted during the process of saving as a different file type for example. If the source format is not available for any reason, then it is usually possible to send an alternative such as a pdf. Always check with your chosen translation service to ensure that they can handle the document type that you are sending. Some will even be able to translate hand written documents, and you could scan and email these rather than sending the original document, but there may be an extra charge for this. 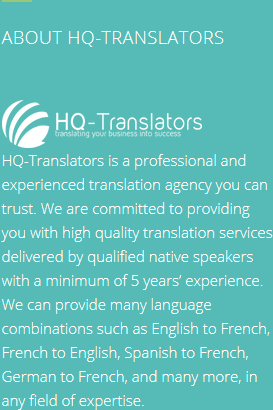 For the best, most accurate English to French to English translation visit HQ-Translators at https://hq-translators.com. We offer a variety of translation services to suit your needs. Find out more by phoning to speak to our team on (00 237) 242 71 38 38 or (00 237) 693 21 69 27. 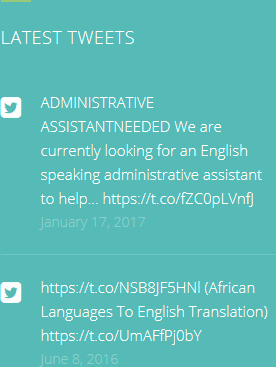 You can also email infos@hq-translators.com.